Take your club everywhere you go with the Official Nottingham Forest F.C. 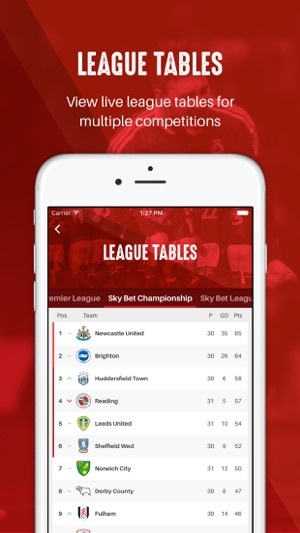 app which has everything you could possibly want to stay in touch with your favourite team. 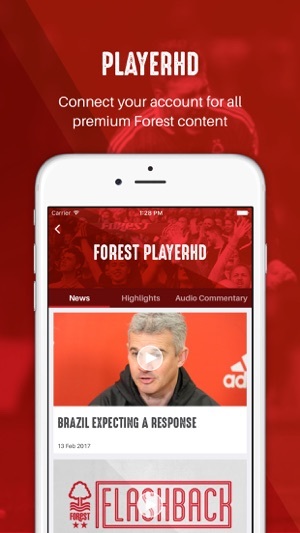 You’ll get complete access to Forest Player HD where you can now see all the latest club news and video highlights, as well as accessing live audio commentary and travel information. 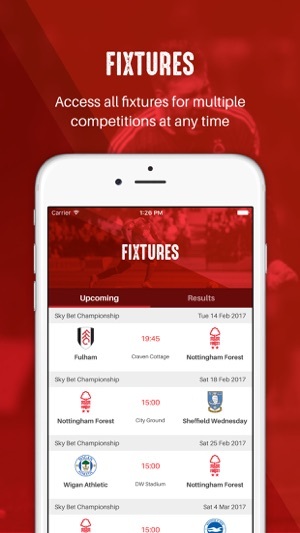 It also works in conjunction with the TribeHive Connect connectivity solution so the app will work even better at the City Ground, and on away trips too. 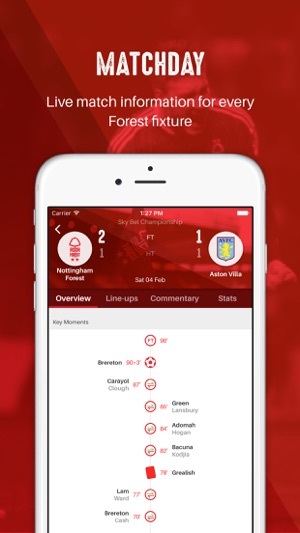 Multi-league live scores gives Forest fans unparalleled access to scores and updates from all the different teams in all the different leagues. Just open the app and see the scores you need to see with a detailed match centre for every game. There is also an improved interaction with FanScore. 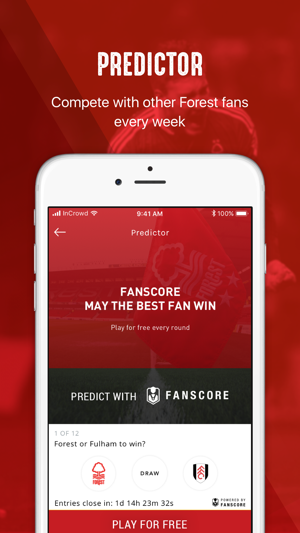 This cutting-edge predictor game allows every fan the chance to win some fantastic prizes by making predictions about how your beloved team will do each week. Vote for your Man of the Match and have your say on all things Forest. - Live scores from every game you can think of to make sure you can follow all the scores and all the teams that matter outside of your beloved Forest. We're always working to improve the Forest app even further. In this update, there are noticeable performance improvements, as well as the app changing its look slightly, with the club's new branding for 2018/19 across it. We have been busy fixing bugs, improving performance and tidying things up for you to enjoy. Do not pay for anything on this app!!! IT WILL NOT WORK AND YOU ARE BURNING MONEY AWAY!! !